Establishing quantitatively the extent to which CBM-producing formations hydrau-lically connect to surface waters and major aquifers is necessary to predict the effects of CBM water withdrawal and management on surface water and groundwater quantity and quality. As discussed above, the only study that included sufficient geochemical, geological, geophysical, hydrological, and other data to establish the degree of hydraulic connectivity between methane-bearing coalbeds and surface and shallow groundwater was conducted in the San Juan Basin (Riese et al., 2005). Such data are needed to assess fundamental aspects of the groundwater flow system, the water level (potentiometric surface) and how it changes, surface water and groundwater interaction, calculations or quantitative assessments of recharge rates, and discharge areas for major streams flowing into and across CBM basins. Because comprehensive data and analyses of this nature are lacking for other western CBM basins, the committee considers this a significant information gap. Although natural systems are complex, numerical models of groundwater flow in CBM basins have used fairly simple approaches in which water is modeled to move uniformly within relatively homogeneous aquifers. Thus, interactions that might occur between local, shallow streams and groundwater and deep CBM-associated waters may not be adequately represented by the model parameters. Independent and comprehensive data are needed to test and confirm the validity of the results of groundwater models for CBM basins beyond calibration to water level (the potentiometric surface). In some cases where groundwater models are used to characterize groundwater flow, the model results have not been rigorously examined through a combination of sensitivity analysis, history matching, and using multiple lines of calibration (e.g. Anderson and Woessner, 1992; ASTM, 2000). Understanding model limitations and uncertainties becomes particularly important when results of models may be used to assess the longer-term consequences to groundwater levels from CBM-related water-pumping activities. In the Powder River Basin, for example, one modeling study indicated effects from CBM pumping that included depression of the potentiometric surface of coal aquifers, which serve as local water sources, and potential loss of stream flow for as long as 50 years (Meyers, 2009). Simple mathematical models (e.g., the Glover-Balmer method) related to the effects of regional CBM withdrawals in the San Juan Basin have also been employed and model results interpreted to suggest stream depletion and drawdown of the potentiometric surface of coal-bearing formations within 20 miles of their outcrop area (e.g., S.S. Papadopulos & Associates, Inc., 2006; Hathaway et al., 2006). In the case of the San Juan Basin where other studies yielded results with sufficient isotopic age dating (Box 2.2), the data show CBM produced water is primarily fossil groundwater that has not been recharged for thousands to tens of millions of years, which contradicts the model results for stream depletion and drawdown. Similarly comprehensive data to test the results from the Powder River Basin modeling study are not currently available. The Glover-Balmer method incorporates assumptions based on pumping water from a well constructed in an artesian aquifer. Many of these assumptions are violated when applied to pumping from multiple wells in a complicated watershed (e.g. 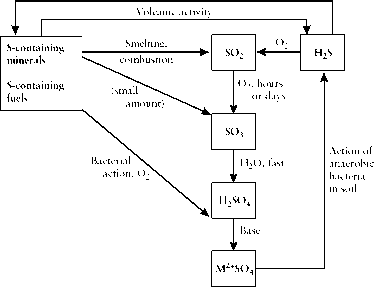 Spalding and Khaleel, 1991; Sophocleous et al, 1995). For example, the method assumes that the aquifer is "isotropic" (permeability the same horizontally and vertically) and "homogeneous" (the same material everywhere). In CBM basins, interlayered coarse- and fine-grained rocks occur and generate notable heterogeneous and non-isotropic conditions. The method also assumes that the aquifer extends to infinity. This assumption can be valid locally when a well is pumped, but does not apply to a basin where geologic units pinch out or disappear over short distances as they do in the western CBM basins. The Glover-Balmer method is only useful as a first approximation, at best, if at a watershed scale. Although modeling may be useful for broad assessment of possible hydraulic relationships in CBM basins, numerical models of hydrogeological systems currently do not yield unique results. Different, multiple combinations of input parameters can produce the same overall results for measurements of water levels and other hydrological data typically used to calibrate the model (e.g., Oreskes et al., 1994; McDonnell et al., 2007). Furthermore, current models cannot yet characterize complex water-rock interactions, differences in hydraulic properties, or boundary conditions in CBM basins. Thus, testing the results and assumptions of numerical and other groundwater models against data from the field or area being modeled is important in order to establish a level of reliability that is suitable for making management decisions. For example, if a model predicts decreasing flow in streams because of CBM production, then low-flow measurements in the rivers presumed to be affected are necessary to test the model results. Similarly, if modeling suggests that streams receive water from coalbeds to maintain baseflow, then chemical measurements in the streams are necessary to determine if CBM "fingerprints" (chemical constituents typical of CBM formations) are present in the water. Despite these limitations, groundwater models of basins can predict general travel time of groundwater along flow paths, and these predictions can be tested by age dating the water. Until the gap is filled between the results of groundwater models and the necessary data to test them, care is urged with regard to using model results alone to make regulatory or other determinations regarding produced water management. The ability to place more reliance in the future on outputs of models that more closely resemble natural complexities of the hydraulic conditions of CBM basins necessitates demonstrating better convergence between existing model results and data collected and analyzed from the basins.